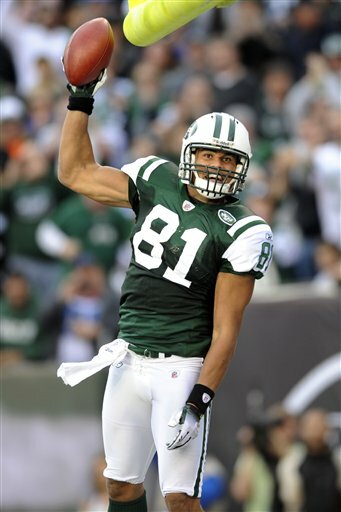 For this week’s blog we decided to look into some players who could disappoint you this week. The players we paid attention to had great weeks last week and most likely put their fantasy owners in great moods on Monday morning. However, we have watched the tape and think that these players will struggle to match that same production this week. We will let you know what these guys did last week to get such great results, but more importantly why they will struggle this week. Best of luck to everyone with the playoffs are right around the corner. The Titans’ ability to generate pressure with 4 and 5 rushers got the Bucs’ offense out of sync. Josh Freeman was constantly forced to move around the pocket. This caused his accuracy to suffer and put the DL in positions to hit him from behind and knock the ball out of his hands. The Bills rely on a quick strike attack, which allows Ryan Fitzpatrick to get the ball out of his hands quickly. The Bills’ ability to use three and four WRs should make it tough for the Titans to stay in a Cover 2 look and should leave Fitzpatrick with a lot of open looks to his slot WRs. The Vikings possess one of the worst pass defenses in the NFL. The majority of their coverage is a 2 high zone look, but they do not have CBs who are physical enough to re-direct WR releases. 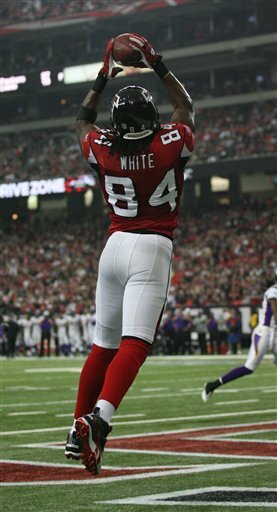 Roddy White was able to get off the line of scrimmage cleanly, which allowed him to have free reign to run comebacks and routes across the middle of the field. The Texans’ defense feeds off of generating pressure. The Falcons OL has been protecting better, but has not faced a team as creative as the Texans are when it comes to blitzing. The Texans CBs are simply more talented than the Vikings and we think that combining with the pressure Houston will generate will make it hard for White to have success running the same routes he did last week. Brandon Marshall was able to get down the field with ease last week. The Cowboys chose not to get physical with him at the line of scrimmage, which allowed him to get off the line and into the intermediate part of the field, where he does his most damage. When the Cowboys did decide to be physical with him, their CBs were left without any help over top. Marshall simply out-manned them and had his way throughout the game. The Raiders are a team that likes to get physical with WRs. And unlike the Cowboys they are going to provide their DBs with help over the top. They have done a good job of bracketing big time WRs, which makes it difficult for them to get open consistently. This attention, combined with their ability to generate interior pressure should make it challenging for Marshall to produce like he did last week. Donald Brown’s ability to move laterally helped him in the Colts’ stretch game, but also on cutbacks and counters. The Colts’ OL did a good job at getting to the 2nd level and getting bodies on the Panthers’ front 7. Brown possesses good vision and can find a crease if the OL gives him one. The Patriots’ front 7 will cause some issues for the Colts OL. New England has some size up front that will be a challenge for a finesse OL – like the Colts have – to push off the ball. The Patriots’ LBs are not overly athletic, but are disciplined in run support. With the score likely getting out of hand, Brown should be limited in his ability to produce. The Bengals OL did a great job last week generating running lanes for Benson to get through. The play side G, T and TEs did a great job on zone runs. They were strong enough to push the Browns edge defenders outside, while still making their way to the play side LB. To match that, the backside OL-men were athletic enough to seal off the backside defenders, generating a natural running lane for Benson. The Steelers front 7 is much stronger at the point of attack than the Browns. Their DL is extremely unselfish and is content with taking up blockers so their LBs can make tackles. 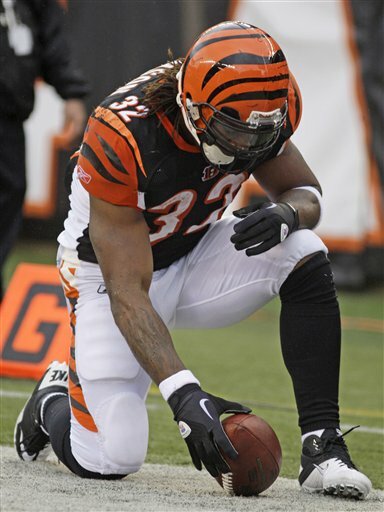 The Bengals will be unable to dominate the line of scrimmage the way they did last week, which will make the running lanes for Benson difficult to come by. 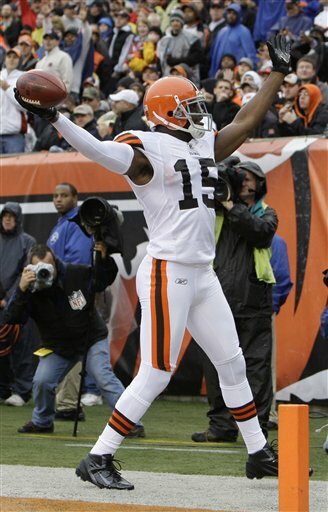 Greg Little has emerged as Colt McCoy’s safety net. Little is a big target and does his best work in the short and intermediate passing game. His ability to get off of press coverage and into open zones has played right into McCoy’s comfort zone of where he likes to pass the ball. The Ravens do a great job of not only generating pressure, but taking away hot reads. They will sometimes flash a linebacker or drop off a DL, which can eliminate a hot read. Little has shown some inconsistency catching the ball and if that keeps up, McCoy might start to look elsewhere if he needs to get the ball out quickly. This matchup doesn’t include a player who put up big numbers last week and who is in a position to struggle this week. Last week Jackson once again got bottled up by Champ Bailey and the Denver defense. Bailey got in Jackson’s face at the line of scrimmage and really disrupted his routes. Denver was able to get in Philip Rivers’ face early and often, which made it very challenging for him to get the ball down the field. The Jaguars do not possess the same athleticism and speed that the Broncos have to generate a pass rush. Playing a soft Cover 2 might limit Jackson’s ability on vertical routes, but he should have a field day getting across the field on deep crossing routes. Look for Rivers and him to get back on the same page this week. Johnny Knox proved to be a difficult matchup for the Oakland Raiders secondary. Knox utilized his speed to stretch the defense, but also took the added cushion to have success running intermediate routes. His ability to score every time he touches the ball makes him an appealing fantasy option every week. Caleb Hanie really struggled to get the ball to Knox on a consistent basis: 10 targets and only 4 catches. On the majority of those incompletions, Knox was open Hanie just was unable to deliver an accurate pass. The Chiefs secondary plays a lot of deep Safety coverage, which should limit Knox’s ability to generate big plays. 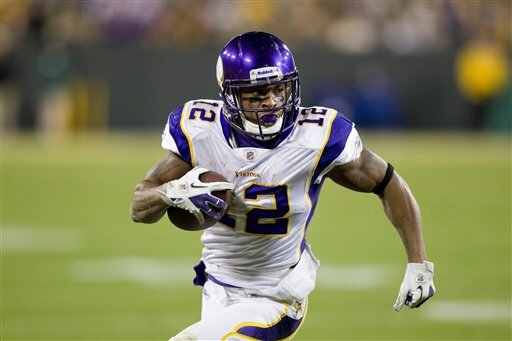 Percy Harvin has emerged as the main offensive weapon in the Vikings offense, now that Adrian Peterson is injured. The Vikings have gotten creative with him, using him not only as a WR, but as a RB. This puts Harvin in a variety of spots on the field, which provides him with space to utilize his athleticism. The Broncos’ defense has been playing extremely well. Champ Bailey has looked rejuvenated now that the team can generate some pressure on the QB. As of late, the Broncos have put their DBs in a lot of man-to-man coverage because they have so much confidence in their pass rush. Keeping so many players inside the box will limit Harvin on screens and out of the backfield. The Titans gave Mike Williams free reign to get off the line of scrimmage and get in between the numbers. They chose to play a lot of Cover 3 zone, but as their DBs bailed they would open towards the field, allowing Williams an easy lane in between the numbers. With Josh Freeman under pressure last week, he looked to get the ball out quickly and Williams was open early enough to be on the receiving end. The Panthers will struggle to stop the Bucs rushing attack. So, we anticipate that they will be rotating a Safety down into the box to help in run support. However, by doing that, the Panthers will be able to limit Williams’ ability to have free reign of the middle of the field. Last week Dustin Keller was able to take advantage of a very young Buffalo back 7. He found a lot of his success on play-action and over the middle of the field because of the poor instincts by Buffalo’s LBs and Safeties. Keller has proven to be a threat around the goaline, which makes him an appealing option every week. The Redskins Defense possesses a lot of components that could hinder Keller’s production. They have two talented edge rushers that are going to disrupt Mark Sanchez. The Redskin LBs are veterans and are athletic enough to cover Keller in coverage. Combine all of those with the fact that Sanchez is completing only 52.8% of his passes to TEs and you do not have a great recipe for success. The Cardinal blockers did a great job controlling the edges of the line of scrimmage. They had most of their success running the ball off tackle because their Tackles and TEs were able to down block on the Rams DEs. Beanie Wells was able to generate some big runs because of this, which helped him produce an enormous day on the ground. The Cowboys are much stronger on the edges of their defense than the Rams proved to be. Having strong OLBs in the 3-4 defense is a valuable asset because the defense can set the edge while still having 5-technique DEs to push back the Tackles and Guards and disrupt any rushing lanes. Wells still has a sore knee and after a game in which he had a lot of wear and tear he could be a little sore to handle a heavy workload. When the Rams had success running the ball, their OL was washing down the Cardinal DL to generate holes off tackle for Steven Jackson to run through. 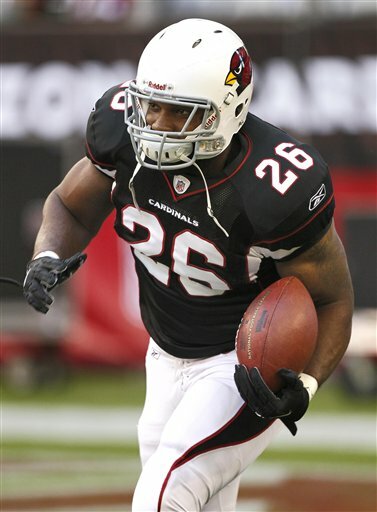 Jackson did not produce one of his better games, but was still able to create positive yardage on 15 of his 17 carries. 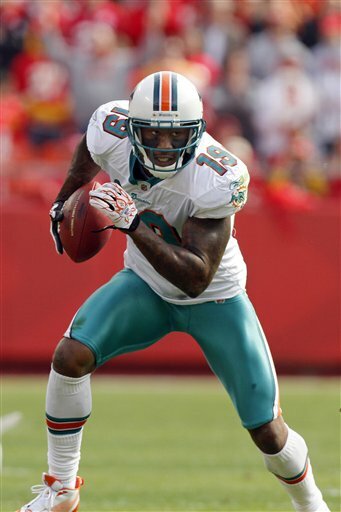 Going up against the 49ers, we think that Jackson will struggle even more. Unlike the Cardinals, the 49ers DL will not be washed down out of the play. Their strength at the point of attack will make it extremely difficult for the Rams OL to create consistent running lanes. The inability to generate much of a push will not allow the Rams’ OL to get off double teams as quickly, which will let the 49ers LBs fill any open lanes freely. Going against a lot of soft Cover 3 from the Giants, Lance Moore was able to run free and find open seams in the Giant secondary. The Giants were unable to generate a pass rush, which allowed Drew Brees a ton of time to throw the ball. Brees has developed a stronger chemistry with Moore as the season has continued, and last week showed how in sync they are. The Lions were able to get after Aaron Rodgers a bit on Thanksgiving, but have to be embarrassed with the amount of points the Packers put up. You have to believe that the Lions are going to come after Brees. Playing a lot of Cover 2 is going to hurt Moore’s ability to get off the line cleanly, but more importantly he will not have as much space on the flats to catch out routes and hitches. If past games mean anything, Moore has failed to ever produce big numbers in back to back games. This matchup does not include a player who put up big numbers last week who is in a position to struggle this week. After the first series, Detroit shifted from running primarily Cover 3, to running mostly Cover 2. This limited the Packers ability to throw the ball outside the numbers and forced Aaron Rodgers to look inside. 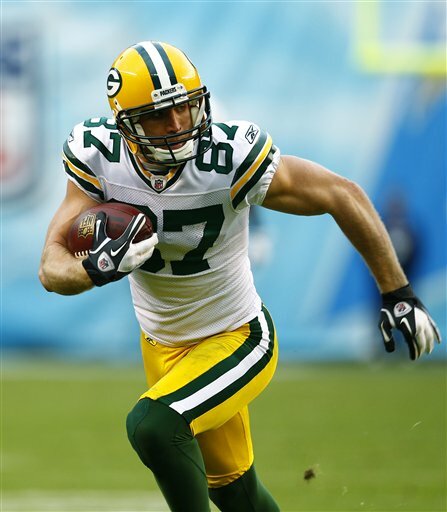 Jordy Nelson does his best work on the outside of the field, as his two catches within the first 5 minutes of the game shows. By keeping a Safety over top of him, they limited his ability to get down the field. The Giants run primarily Cover 3 and Cover 4. Both of these play into Nelson’s ability to get down the field and catch comeback routes. The Giants DBs are not physical at the line of scrimmage, which will help Nelson get to top speed earlier in his route. With so many weapons the Giants will be unable to stop a single guy and Nelson should have no problems getting back on track.